"A haven of peace and tranquility, wide open spaces, big skies and friendly staff. What more could you want?" Are you looking for somewhere to stay that will leave a lasting impression? A base for your adventures that is peaceful yet right at the heart of the action? Or just somewhere to get away from it all and read a good book. We might just have what you're looking for. The Applecross peninsula boasts a breathtakingly beautiful and dramatic landscape. The main township of Applecross (or A'Chomraich in Gaelic, meaning sanctuary) is located around the picturesque bay and enjoys uninterrupted views out over the island of Raasay and the Cuillin Hills of Skye. Applecross is reached by one of the highest routes in the UK, the Bealach na Ba; from the top, on a good day, you can see the islands of the Outer Hebrides. 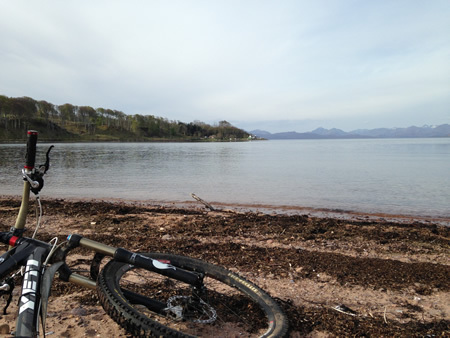 With the sheltered waters of the Sound and spectacular mountains right on the doorstep, Hartfield House is an ideal place to base yourself for walking and trekking, cycling, mountain biking, kayaking and climbing. Hartfield House is approximately 3/4 of a mile off the main road, part of the North Coast 500, which skirts the bay and stands at the foot of the glen following the line of the Applecross river. Originally the old hunting lodge on the Applecross Estate, it is a large old building set in its own grounds and sleeps up to 50 people in a mix of double, twin, triple and private bedrooms. 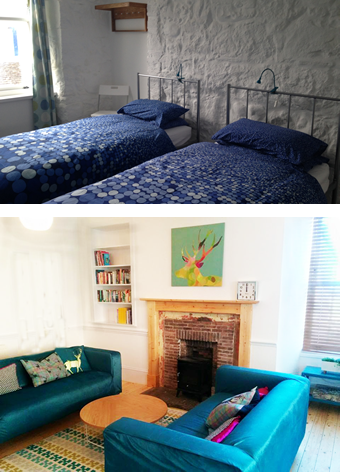 There are ample hot showers, restful common areas, a dining hall, laundry, free wi-fi, small shop, large garden. function hall and meeting rooms. See further details of our facilities here. The fantastic Walled Garden restaurant is just a short walk through the Applecross Estate, and the award winning Applecross Inn is a further 20 minute walk around the spectacular Applecross bay. A fully equipped shop can be found two miles away. For cyclists, mountain bikers, (motor) bikers and car enthusiasts, we have covered areas for fixing and tinkering! And there is a sheltered bike area, drying rooms and plentiful outdoor space. So, if you are looking for a wedding venue to celebrate into the small hours, a couple seeking solace, a group of friends about to embark on an adventure or a family wanting space for the children to run and make camp fires and go on scavenger hunts, you have come to the right place. We cater for groups, individuals, exclusive use, weddings, and meetings or business gatherings, as well as yoga retreats and wellbeing. Sign up to our newsletter to ensure you keep up-to-date with activities, events, special offers, news and competitions. You’ll be entered into our quarterly prize draw to win a weekend for two at Hartfield House in Applecross! The business of driving etiquette on single track roads in the Highlands can be a baffling thing for those travelling to the area. What to do when meeting an oncoming vehicle, when to let vehicles pass, and other queries, as well as speed limits. Please click here for information about driving on single track roads.